For the modern single stoner looking for a date or someone to spend time with, there are a few apps, that connect them with cannabis friendly singles. Cannabis is slowly making its way more and more into the public domain by a greater number of countries every year and there are continuous discoveries regarding the medical benefits of marijuana. So why is it still in issue in our dating game? Talking to your new found love or your date about your smoking behaviour or being "weed friendly" is not always easy, especially since the two of you are just getting to know each other and you want to leave the best first impression that you possibly can. Because it is very understandable to have some reservations about discussing your cannabis use or being afraid of rejection because the other person you are trying to date clearly has an issue with weed we have compiled a short list of dating apps that aim to bring you into contact with other like-minded and cannabis friendly people. This does not mean that you will find only stoners on their websites and in their apps; there are a lot of ways people like to enjoy their weed, some more frequent than others. At least you will know that your next possible date (or person you just want to hang out with) will not make an issue of your cannabis use, you can be sure of that. My420Mate call themselves the Cupids of Cannabis, which might be right seeing that they are currently number one dating site for cannabis users. Even though that at first you might have thought this to be a hotspot for the typical lazy stoner that is looking for an equally clouded partner it is actually for both the recreational users of marijuana and the medical users as well. We always tend to forget that weed is no longer only a recreational drug, some people actually are able to enjoy their life again thanks to their prescription of weed. The sign up process is totally free and it allows you to fill in your personal profile or take their personality test, just be sure to put in all the data they ask for because it is these parameters that let you be matched to someone else, hopefully in the same area and besides that with at least a few common interests. Well, next to the both of you being weed friendly that is. If you have completed your profile or questionnaire about yourself you should be able to view the photos that other users have posted of themselves and read a small amount of text they typed about themselves on their profile pages. The website also offers a user to user chat function so that you can flirt with other singles online. The app's user interface is very easy to figure out. You could say that it is ‘stoner proof’. There is even a customer care team if things get a bit too complicated or you run into issues with their website or app. I do believe their answers are confined to technical questions only, mind you. The biggest drawback of My420Mate might be that there are not many active users available and that if you do find a match it is not guaranteed to be within an acceptable distance. Because of the small number of users, you might end up being matched with someone on the other side of the continent, or worse the planet. 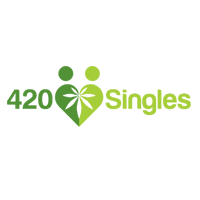 Conceived on the backseat of a Volvo, according to the owner and founder, **420 Singles is a website with an added blog that is also listed online as StonerSingles. It has an app that is tied to the online platform and their aim is to ‘reach the dating community of anyone that accepts the use of cannabis and supports its legalisation, not just the hippies and stoners’. 420 Singles tries to connect cannabis friendly singles by finding out what some of your core values are by asking you a few standard questions that every stoner would know about himself or herself. They want to know if you prefer indica or sativa, do you believe in the supernatural and how much time do you spend smoking or using cannabis and what is your taste in music. Even though these questions do not seem important they do actually give some sort of an insight into a person's preferences and behavioural patterns. While most dating sites offer the possibility to connect with people with the same interests through messaging and online chatting, the step towards meeting each other in real life or offline is rarely made. Perhaps it is just difficult switching from the safety of your screen to an unfamiliar surrounding with an unknown person. To help you with meeting other singles in real life 420 Singles informs you of upcoming events related to the cannabis community. They see this as an additional way of connecting with your potential partner. Add this to a database of 56,000 members and you have a pretty good chance to find your cannabis friendly match. Out of all the cannabis related dating apps out there HighThere might be the one with the catchiest name and the prettiest face. It has a flashy and sleek interface that gives users the possibility to browse profiles, chat with others users and send them emails all directly from your iPhone or Android device. It even gives users the option to enrich their profile with a video statement. Being on the more tech savvy side of the market, this app offers an accompanying blog page, FaceBook page and its own Instagram account. For the users that really want to support the cause, there is even a range of merchandise available from their website. There is a bit of an issue with the HighThere app though, well at least if you are a cannabis user that values his or her privacy above anything else. This app proves to be the least safe as far as your data is concerned. 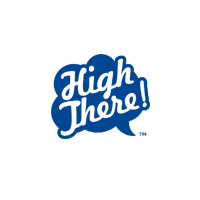 HighThere uses your location data to pair you with other cannabis friendly singles, this means that your location, photographs and smoking habits will be sent online to a server. If you happen to live in an area where marijuana is still illegal this could mean that if someone happens to intercept that data you might inadvertently endanger yourself and the stoners around you. Whether you are a recreational or a medical user of cannabis, looking for a life partner or just a smoking buddy; the lifestyle surrounding cannabis is being legalised and facilitated more and more. Even though apps like Tinder and Happn might continue to be the market leaders when it comes to online dating from your mobile phone, the dating apps for cannabis friendly singles are stepping up their game as well.